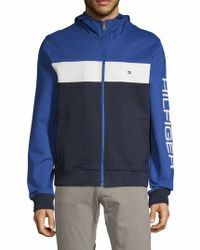 Celebrating the essence of classic American cool, Tommy Hilfiger launched his first collection in 1985. 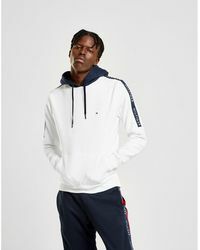 Famed in the industry for applying a signature quirky twist to traditional fabrics, Tommy Hilfiger's trademark aesthetic is preppy and youthful with a classic and enduring appeal. 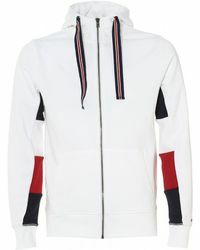 One of the world's leading premium lifestyle brands, the company delivers quality and value to worldwide consumers. 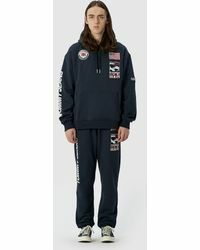 Men's Tommy Hilfiger sweats are crafted from soft cotton and brushed fleece for ultimate comfort. 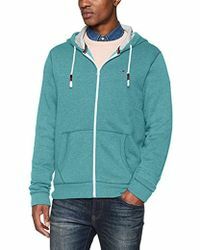 Inspired by classic styles, this collection features sweaters, track pants, hoodies and cardigans that are instantly recognizable by bold uses of colors and Hilfiger branding.